Simple, elegant, and unique. These are the three words developer Simon Storz uses to describe Rainbow Weather Widget, a recently released Notification Center widget for Apple’s iOS mobile operating system. Priced at $0.99 and optimized for the iPhone, iPad, and iPod touch, Rainbow Weather Widget first launched on the App Store a couple of days ago. For anyone looking to gain quick and easy access to weather information on their iOS device, this definitely looks like an application of interest. Once installed, users of Rainbow Weather Widget can check on their current temperature plus a seven-day forecast from Notification Center. Here, the widget employs a minimalistic design, with the user interface (UI) taking the form of a colored bar chart for the week-long forecast (different colors, ranging from blues to reds, represent low and high temperatures). Rainbow Weather Widget for iOS. You can configure whether you’d like temperature to be displayed in Celsius or Fahrenheit, and the widget’s weekday names will be displayed in whatever language your iOS device is using. 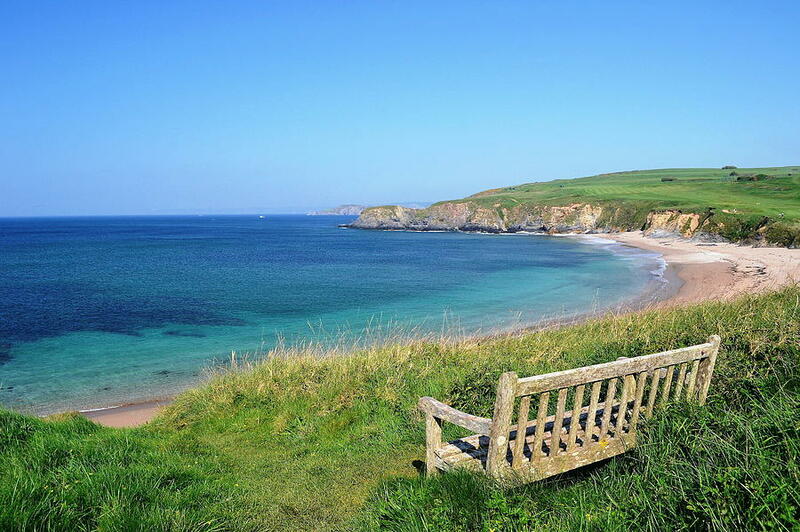 Weather information provided by the widget is based on your current location, and this is automatically updated in the background. Rainbow Weather Widget definitely looks like a promising app for anyone interested in adding a clutter-free weather widget to their iOS device’s Notification Center. For me, however, Weather Underground – which sources data using local weather stations – is still my preferred widget (plus, it’s available on the App Store free of charge, too). 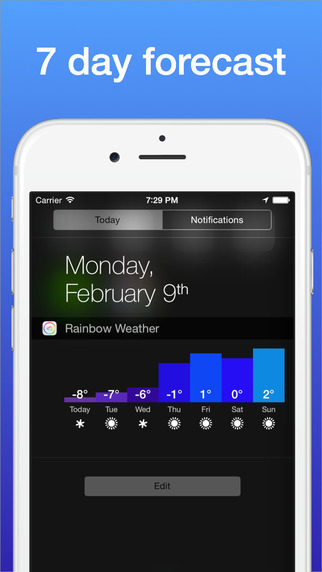 You can download Rainbow Weather Widget for $0.99 on the App Store, and it’s optimized for the iPhone, iPad, and iPod touch. In order to run the application on your iOS device, you’ll need to have installed iOS 8.1 or later. See also: A new startup lets you rent the Apple Watch before you buy it, Why you might want to wait until the fall to buy an Apple Watch, and New Reserve and Pickup system for Apple Watch is in the works.